With her wealth of knowledge and experience working in the STD field, we are thrilled to welcome Amanda to the NCSD team! NCSD is thrilled to announce that Amanda B. Dennison has accepted the position of Director, Programs & Partnerships at NCSD, starting April 2nd. 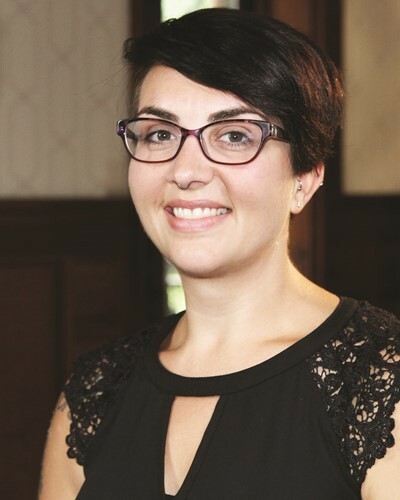 Amanda brings a wealth of experience to NCSD from her current position as STD & Hepatitis Prevention Program Manager and Interim Section Chief – STD, Hepatitis & HIV Prevention and Surveillance for the Ohio Department of Health. While with the Department, Amanda managed a multi-million dollar budget of combined STD and HIV prevention grants; provided technical assistance to local health departments and other agencies; and conducted program evaluation, strategic planning and community prevention planning. Previously, Amanda was the HIV Prevention Program Manager and Patient-Centered Medical Home Project Manager at Circle Health Services, a community-based HIV and STD service provider. While at Circle Health Services and later as part of community prevention planning, Amanda focused on health equity and social determinants of health. Amanda holds an MPH from George Washington University and a joint BA in Anthropology and BS in Health Sciences from Cleveland State University. Give Amanda a big NCSD welcome! NCSD is excited to announce their continued partnership with Diagnostics Direct for STD Awareness Month!